Pams Party & Practical Tips: So excited for cake pops! So excited for cake pops! 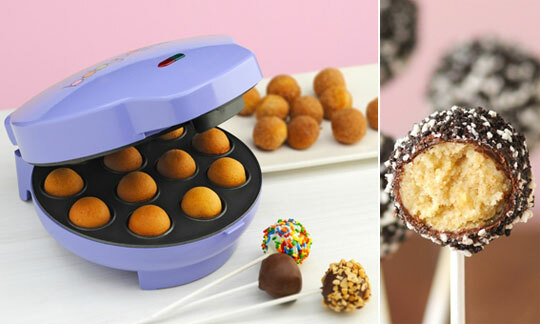 As if party shopping today is not exciting enough, I am soooooo excited about a possible deal on a cake pop maker I just heard about . I follow The Party Animal thru her blog and on Facebook.. She just gave a great review on the Babycake cake pop maker that you can read here. She said not only does it work great, but that it is on sale at Kohls. I have a 30% off coupon for Kohls that is good through today.. WOOHOOO! I am picking up my daughter at a playdate in a few minutes and the running to Kohls. Thanks Nicole!! We will then be doing our party shopping. I was going to go during the playdate but my daughter really wants to go too.. Only a few more minutes until pick up time.. Make sure to check out Nicole and her Party Animal blog. She has a lot of awesome ideas!